Starbucks' bottled Frappuccino beverages get a non-dairy version with the debut of new Frappuccino with Almond Milk. The new line features two classic flavors at launch: Mocha and Vanilla. Beyond the non-dairy aspect of Frappuccinos with Almond Milk, the drinks also contain 40% few calories versus their dairy-containing counterparts. 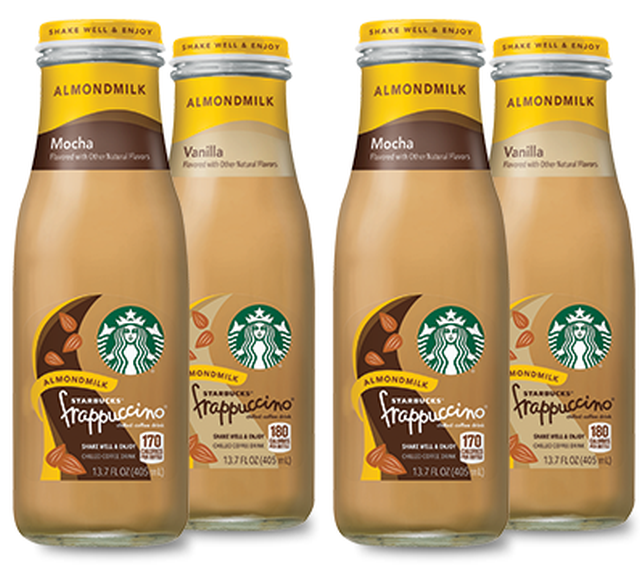 Like the rest of the retail Frappuccino line, you can find these in 13.7-oz glass bottles.